What's The Family Deal? Find out now. We have many to choose from. Many used vehicles to choose from. Our technicians are ready to help. It's not just what you get, it's how you feel. 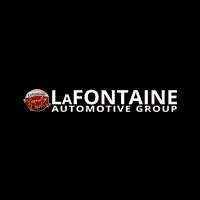 At LaFontaine our mission is to build lifelong relationships that connect families, strengthen communities and personalize the automotive experience. Our mission is to provide vital funds for cancer research grants in the state of Michigan so that we can all live in a cancer-free world. Pony car fans, take heart: It's #NationalMustangDay! We brought this beautiful '19 Shelby GT350 from LaFontaine Ford of Birch Run to celebrate with hundreds of other Mustang fans, including Mr. Bill Ford Jr. himself! Subscribe to our exclusive newsletter. LaFontaine Automotive Group	, .